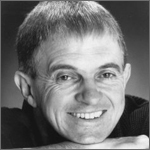 Mark Bunyan (born 1949) is best known as a cabaret artist, although his accomplishments also include being a national recreational trampolining medallist and many writing credits. Brian Kennedy, gay activist, journalist and all-round good bloke decided that London should have its own gay community choir. There were already several gay choirs, mainly male choruses, in the United States but none in this city… I was one of a very small handful of out gay musicians with any kind of public profile… I knew that starting a choir would be a big commitment and I wasn’t really that sure that I could spare the time but Brian was very persuasive and in due course on April 7th 1983, there was a well-advertised meeting at the Oval House in Kennington to which 29 people turned up plus Brian, myself and a noble pianist whose identity has disappeared. At that first rehearsal, Mark taught the nascent choir two songs: a version of Frère Jacques with alternative lyrics (‘Homosexual, homosexual / Lesbian, lesbian / We are homosexual, we are homosexual / We are gay, we are gay’) and a piece of mock plainchant he’d written for the American gay protest-performance group, the Sisters of Perpetual Indulgence, called ‘Veni’ or ‘I Come’. These, with the addition of Scarborough Fair, were the basis of the first public performance at the London Pride march. 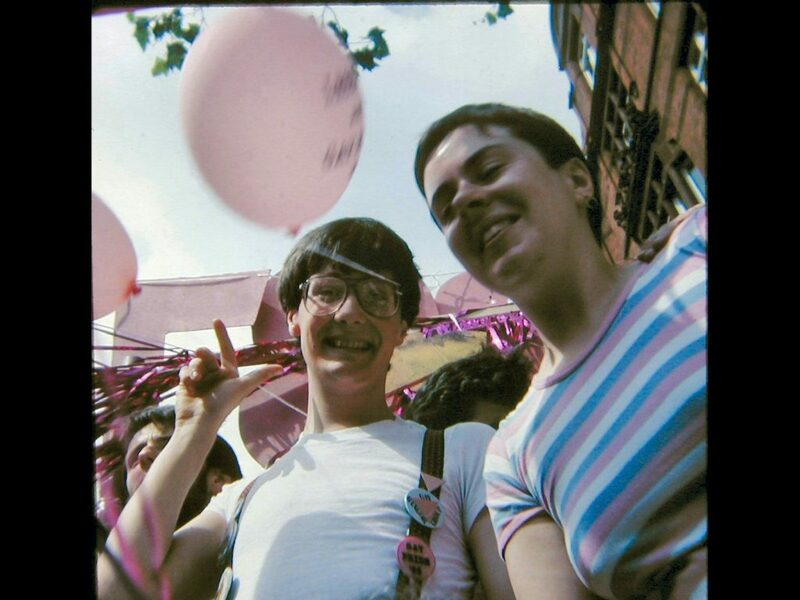 There is, incidentally, a bit of a myth that the Pink Singers, as they became known after the second meeting, were formed to sing at that year’s Pride march. 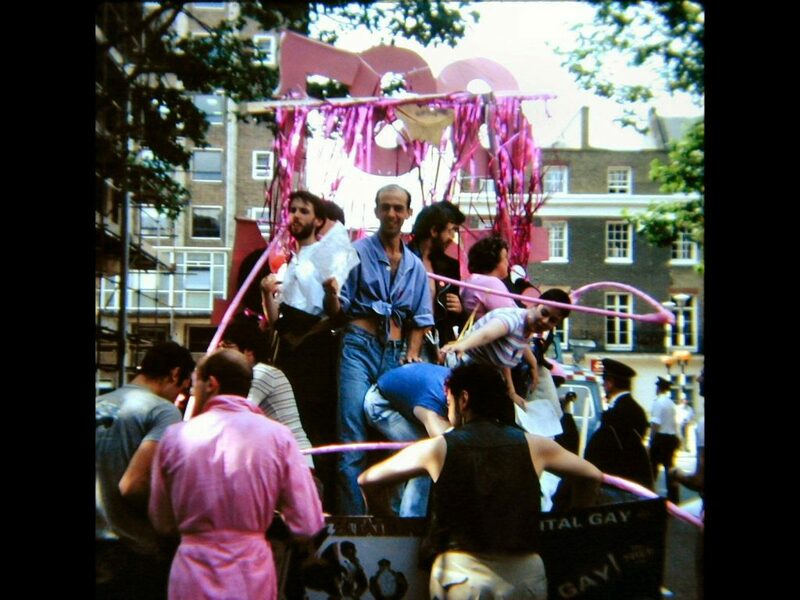 Though our first public appearance was at Pride – and at the head of the march I may tell you (no mayoral presence in those days) – the object was always that the choir would keep going as a community choir. But Mark Bunyan’s career was taking off and he did not have the time to dedicate to a choir. That man was Robert Hugill. The Pink Singers is the oldest LGBT+ choir in Europe. Mark Bunyan, our first Musical Director (MD) and one of our founding members, recounts how it all began. 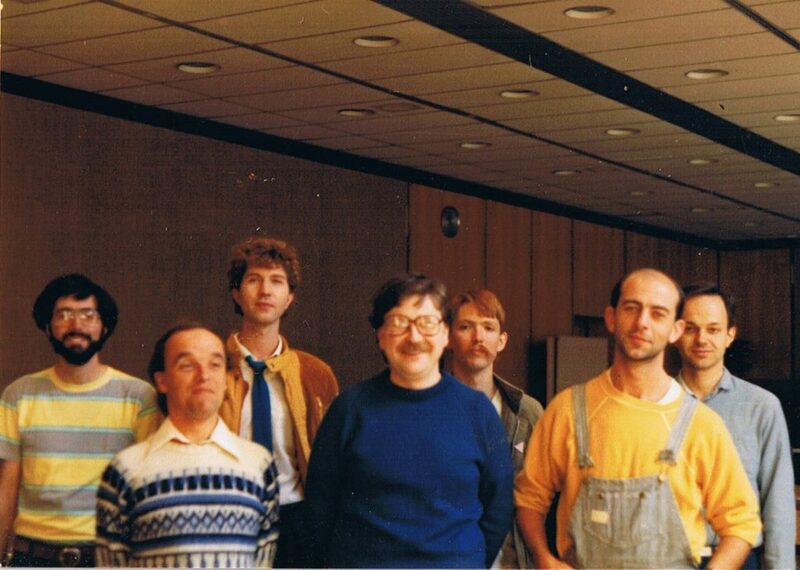 I’ll be completely honest and say that my arm was very heavily twisted by Brian Kennedy, and Michael Mason of Capital Gay, to start the choir in 1983. I’d had some success with my musical the year before, and my cabaret career was going great guns, so I must admit that I didn’t really want to commit that much time to it and said that I’d do it for exactly three months. May 15th: ‘Was late to choir practice in County Hall and felt awful and incompetent though when we got it together God Rest You sounded pretty good. The name is now The Pink Singers (over my suggestion That Choir). I enjoy it even when feeling appalling.’ I was hungover. I remember Robert being really surprised when I said that not only could he do some of the musical direction but could also take over the whole thing. It was at the last meeting of my promised three months and his arrival could not have been timed better. I’d been assuming that I’d have to go on with it despite my (clear from the diary entries) feeling that this wasn’t something I was too skilled at.